(a) Install the No. 1 manifold converter insulator to the exhaust manifold converter sub-assembly with the 4 bolts. (a) Install the No. 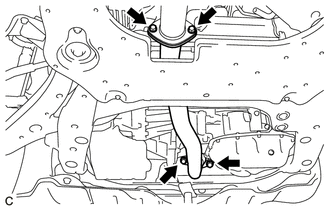 2 exhaust manifold heat insulator to the exhaust manifold converter sub-assembly with the 2 bolts. 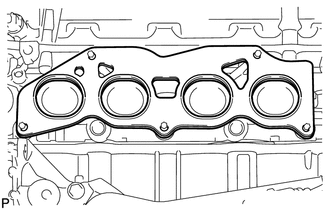 (a) Install a new gasket onto the cylinder head sub-assembly. 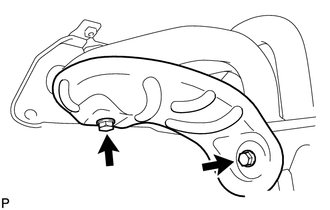 (b) Temporarily install the exhaust manifold converter sub-assembly to the cylinder head sub-assembly with the 5 nuts. 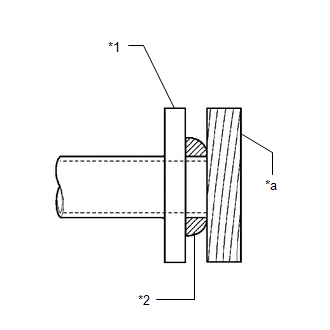 (c) Tighten the 5 nuts in the order shown in the illustration. (a) Install the No. 1 exhaust manifold heat insulator to the exhaust manifold converter sub-assembly with the 4 bolts. (a) Install the No. 2 manifold stay to the exhaust manifold converter sub-assembly and stiffening crankcase assembly with the bolt and nut. 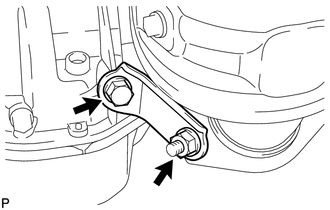 (a) Install the manifold stay to the exhaust manifold converter sub-assembly and stiffening crankcase assembly with the bolt and nut. 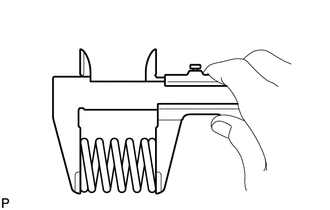 If the length is less than the minimum, replace the compression spring. 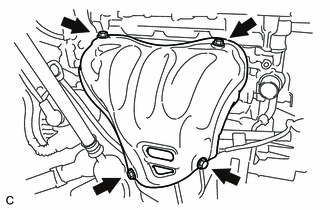 (b) Temporarily install a new gasket to the exhaust manifold converter sub-assembly. 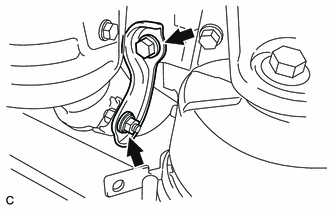 (c) Using a plastic hammer and wooden block, tap in the gasket until its surface is flush with the exhaust manifold converter sub-assembly. 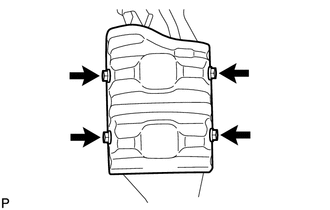 Do not push in the gasket by using the exhaust pipe when connecting it. 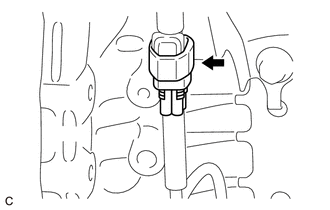 (d) Install a new gasket to the center exhaust pipe assembly. 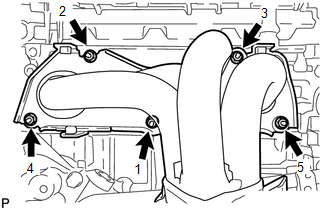 (e) Install the front exhaust pipe assembly to the exhaust manifold converter sub-assembly and center exhaust pipe assembly with the 2 compression springs and 4 bolts. (f) Connect the heated oxygen sensor connector.